Winter is at a close, and that means the sunny days of spring and summer are at hand – and that means many more hours spent enjoying the beautiful, bright sunshine. Of course, plenty of sunshine also means a higher risk of sunburn. Even the most judicious use of sunscreen can still place you at risk of a burn when you're out for a long period of time or when untreated areas become exposed. And once a burn occurs, it can be very painful, resulting in red, dry, flaky skin that's extremely sensitive and tender. That's when it's important to understand the skin carebenefits of calendula. Sunburn symptoms can be treated, but finding a product that consistently provides soothing relief isn't always easy. Sunburn causes inflammation that extends deep into the inner layers of skin, resulting in painful sensations that can persist for days. One of the skin care benefits of calendula is its ability to reduce inflammation that causes irritation, tenderness and redness, relieving symptoms while also helping to restore skin health. Calendula also has antimicrobial properties, which means it's good at fighting off infections that can occur when skin blisters and peels, and it also helps promote new cell growth in areas where skin has been damaged by the sun's UV rays. Several studies have demonstrated the effectiveness of calendula in treating burns, including one multi-center trial in 1992 which showed topical ointments made from calendula were superior to conventional burn creams in healing second- and third-degree burns, and patients treated with calendula products also had faster healing times compared to those who had conventional burn ointments. Calendula's track record in treating sunburn is well established, and several sunburn relief products include calendula as an ingredient. The problem is, many of these products also contain chemical ingredients that can actually irritate skin, which means they're not providing the full healing effect offered by calendula. My Girls™ Skin Care uses only the purest and gentlest ingredients in its calendula products, ensuring the natural anti-inflammatory and antimicrobial benefits of calendula take center stage. Plus, the creams and lotions are designed to glide on smoothly with no greasy residue, so even the most sensitive, most irritated skin can be quickly soothed and restored to health. My Girls™ Skin Care Cream is available in an easy-to-open jar and a convenient take-with-you tube so you can carry it with you to the beach, lake or park for on-the-go skin care wherever your summer travels take you. 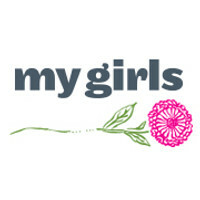 To learn more about My Girls Calendula Skin Care Cream or to read more about the science behind calendula, visit the My Girls™ Skin Care website today.